"Barney" Solanus Casey is being beatified in a ceremony in Detroit, Michigan on November 18, 2017. Casey will be the second American born male to be beatified. Cardinal Angelo Amato, the head of the Congregation for the Cause of Saints will celebrate the Beatification Mass. Among the 70,000 in attendance at Ford Field will be four Cardinals and 218 Capuchin Friars. The beatification of Fr. Solanus Casey is remarkable for a Wisconsin farm boy born in 1870. When Casey was called to the priesthood, he academically struggled at the seminary since instruction was in German. Thus, Casey was just ordained just a sacredos simplex and served in the early and mid-Twentieth Century as a lowly porter for the Capuchins friaries in Yonkers, Harlem, Manhattan and for 21 years in Detroit. Despite not being able to give homilies or hear confessions, Fr. Casey had a remarkable impact. His reputation grew as a compassionate holy man who founded a soup kitchen in Detroit in 1929. Casey became well known as a priest who could relate with people. Fr. Casey was also known as an ordinary Detroiter who enjoyed Coney Island hot dogs and the Detroit Tigers. Yet Fr. Casey drew people to him from his holy reputation and as a miracle worker who had a knack at helping get prayers answered. In his vocation as porter, Fr. Casey lent a listening ear and a caring heart to those who came to him. Fr. Casey would also offer visitors an opportunity to join a Capuchin Mass Memorial Society, in which he scrupulously wrote down their petitions and updated the log with how prayers were answered. In 1954, Fr. Casey suffered a severe case of eczema over his entire body and was transfered back to Detroit to receive better medical case. Alas, complications set in and he died of untreatable psoriasis. It was estimated that 20,000 people showed up to mourn Fr. Casey's passing from this world. But when Fr. Casey's remains were exhumed in 1987, his corpse was incorrupted, save for a little decomposition around the elbows. After Fr. Casey's death, lay friends of the Capuchins sought permission to create a Father Solanus Guild. As early as 1966, there were 24 reports of cures attributable to Fr. Solanus. Fr. Casey was named Venerable in 1995. Normally, the Catholic beatification process involves the recognition of a miracle associated with a Servant of God. The Miracle which was recognized by the responsible Vatican dicastry is from 2012 when a Panamanian woman who visited Fr. Casey's tomb who suffered from an incurable skin disease but was healed by praying for Solanus Casey's intercession. 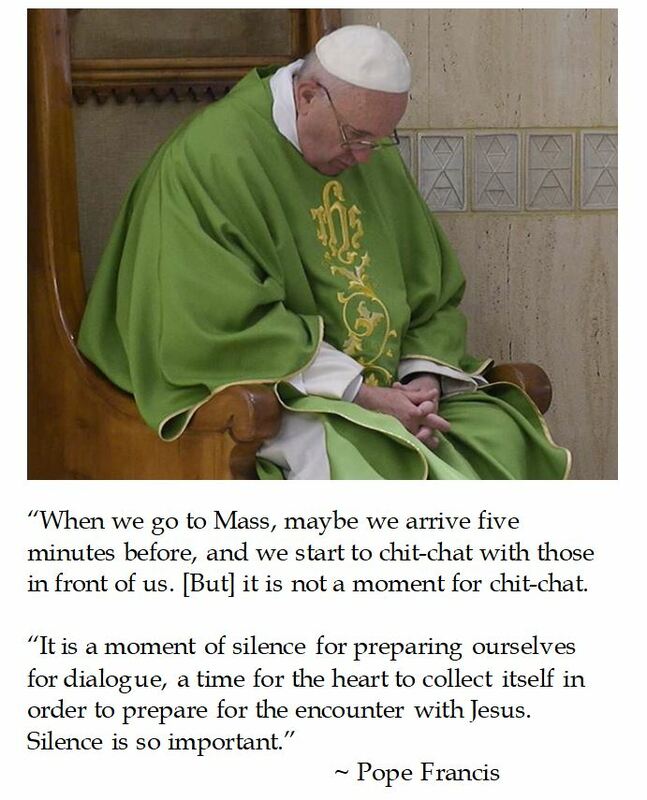 Recently, Pope Francis lamented the tendency of Catholics to engage in small talk before Mass when they ought to be spiritually preparing for the liturgy. This may be related to how the Mass is considered by the faithful. The Council of Trent affirmed the holy sacrifice of the Mass. The spirit of Vatican II considers it a family meal, thus what would be wrong with some pre-supper conversation? While it is laudable to have pre-liturgical silence to encourage the People of God to prepare for the Liturgies of the Word and the Eucharist, it should be tempered by fostering community. It is my experience that at least in America, parishes are no longer the tightly knit and stable discreet communities that they once were. Folks typically move around. There are volitional parishes where people choose to attend. People often do not make a day of worship, sticking around for coffee or pot luck. The infrastructure can also be an issue. My parish's main church was built in the 1850s and has a very small narthex, so there is not a courtyard for people to gather and make small talk before going into the sanctuary. Many modern churches have incorporated a gathering area for such purposes. So what would be the best way to cultivate more reverence prior to Mass? I would suggest catechesis and clues. While I want thoughtful exegesis from a homily, it can sometimes be edifying to also have some instruction. I regret that I did not hear more priestly presiders educate the faithful about the change from dynamic translation to static translation of the new Roman Missal in 2011. I sought to educate myself and attended some additional talks which helped me understand the logic of the syntax changes as well as to become accustomed to the "clunky" new sound. Pope Benedict XVI observed that the essence of liturgy disappears when we applaud in church and it becomes religious entertainment. While the Mass that I frequently attend has a wonderful contemporary choir, it still garners applause "from the crowd" after Mass. Being shepherded by our Holy Father, I curbed my enthusiasm for post-prandial celebration. It would have been instructive if clergy discerned if such a critique was praiseworthy and shared it with their flock. Another moment where reverence not revelry ought to be instructed is during the "sign of peace". In some liturgies, it becomes a "half time" where people will briefly socialize with their neighbors. Some celebrants campaign, needing to shake the hand of every Catholic "constituent". Liturgically, we are sharing the unity coming from the altar after the fraction rite that comes sharing one body of Christ. So several years ago, the Congregation for the Divine Worship published a piece which discouraged irrational exuberance during the sign of peace. Yet this instruction received nary a mention from the pulpit. One parish which I attend while visiting relatives has a barn-like sanctuary. Several minutes before they start they dim the lights to get the People of God in the mood. Visually, they are giving them a clue. Where I believe that they go off the right path in making announcements or having brief secular speakers come up front "before the show". For me, good liturgy is key. However, community is also important. There is probably not a one-size-fits-all approach. 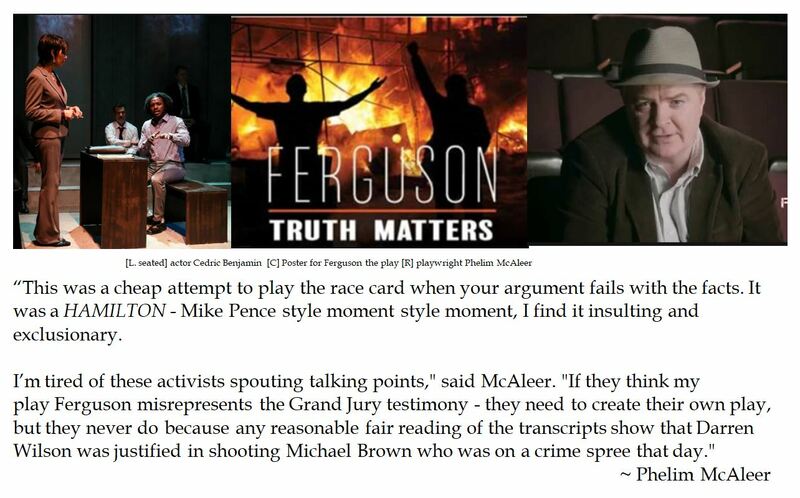 But pastors and sacristans can discern what will work best for their "faith community". 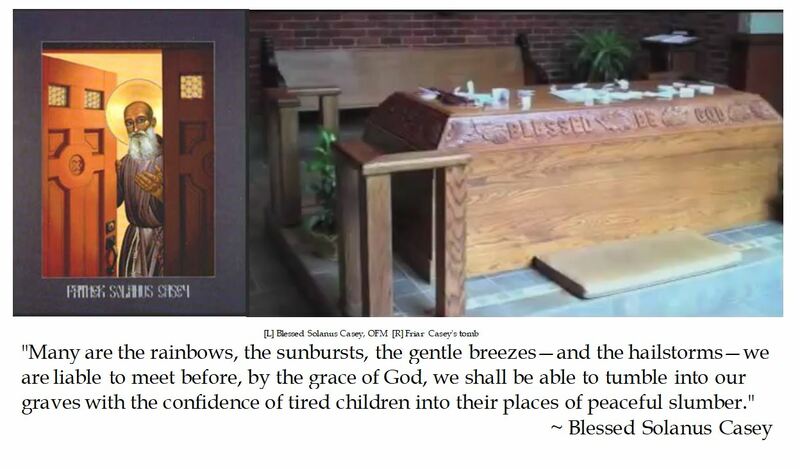 And homilists ought not to be afraid to challenge their congregation to prayerfully consider how we comport ourselves in the sanctuary before, during and after our liturgies. And may the clergy not dismiss righteous chaffing from the faithful just because they are in charge. The revelation of sexual misconduct by Hollywood's Harvey Weinstein has transitioned to the District of Calamity. Accusations of sexual impropriety threatens to swing two Senate seats and effect the balance of power on Capitol Hill. Much has been made about allegations of skivvy conduct by Republican Senate candidate Roy Moore (R-AL). These accusations stem from conduct nearly four decades ago that were unreported to authorities, but came to light in the closing days of a special election to fill the seat vacated by now Trump Administration Attorney General Jeff Sessions. The alluvia of allegations sound bad, but are past the statute of limitations, based she-said-he-said allegations with little to no corroborating evidence and relies upon the court of public opinion. From a political standpoint, Democrats are anxious to make Roy Moore a poster child for Republicans in 2018 and use the hermaneutic that Republicans condone sexual harassment as a cudgel to impeach President Donald Trump if Democrats regain the House of Representatives. In the near term, the muck about Moore put the White House in a box. On the other end of Pennsylvania Avenue, establishment Republicans did not like a loose cannon like Judge Moore to be in the Senate chambers, when it endangers the clubby atmosphere of the Upper Chamber and he could help shake up the leadership. 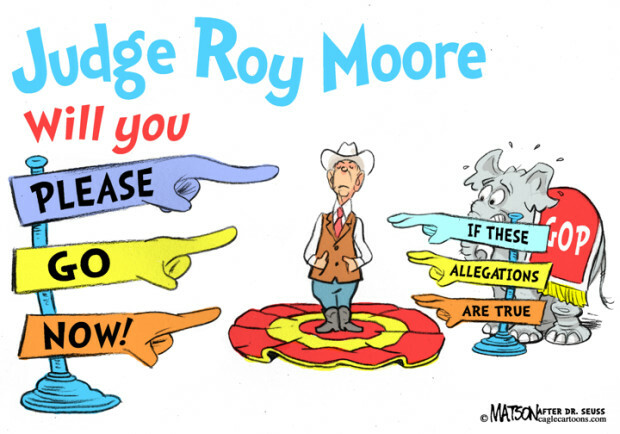 So many GOP party loyalists were quick to condemn Moore for the alleged but unproven misconduct. There are concerns that Republicans might lose this previously considered "safe" seat, as Moore is polling with a double digit deficit after these allegations have been publicized. Since candidate Moore refuses to step aside due to this scandal, the DC GOP suggested writing in another Republican. Apparently, this did not test well and was dropped. After a careful reading of the Alabama state statutes, centrist Republican Hugh Hewitt claims that the problem could go away if Senator Luke Strange (R-AL) resigned, creating a new vacancy which would cancel the shaky December 12th election, and Governor Kay Ivey (R-AL) could appoint another caretaker Senator until the next general election (in November 2018). Considering the shaky ground Jeff Sessions is in at the Department of Justice, it is possible that Sessions be appointed back to his own seat. Recently, after a pleasant Sunday brunch, we chatted about the troubling news about Roy Moore. As the topic expanded to include sexual harassment by elected officials, two ardent feminists insisted that Congress needed to do something about it and make offenders on Capitol Hill as accountable as the rest of us. I asked who were their bosses. The obvious answer was the people. I maintained that voters get to fire their elected officials periodically and they should decide rather than an insider committee. That viewpoint was not well received. Well, it seems that when Congress pushed to make the same rules apply to them as their constituents, there were a few quirks. Regarding charges of sexual harassment with members of staffers, there is 30 day waiting period before pressing charges. In addition, the victim making the accusation must undergo mandatory counseling. That sounds munificent, except the counseling comes from the employer whom someone is accusing. It would seem that it could be made clear to accusers that going public would not be in anyone's best interests. If I recall correctly, John Batchelor's news-maker interview indicated that this system has paid out $15 million since its advent in the 105th Congress with nary a word making the press. What took party hacks off their sexual harassment game plan was the revelation by a Los Angeles radio personality of Al Franken's inappropriate conduct during a USO mission to the Middle East in 2006, before he was elected as Senator from Minnesota. The woman reported that she was supposed to do a skit written by Franken that involved a kiss and wanted to rehearse-- she demurred but eventually consented. During the practice, she alleged that Franken put his tongue halfway down her throat and grabbed her head. She immediately insisted "Don't do that again! ", and she deflected his approach during the skit. The problem with sexual conduct and Al Franken is about the contemporaneous photographic evidence. The woman in question wanted to grab some rack time during the 36 hour military flight. When she was asleep, Franken was seen with a coprophagic grin cupping at her breasts. No doubt, Franken thought this was funny at the time (and probably a great way to get back at her). Franken has been known to take outrageous photos for laughs (but the infamous Franken diaper photo was a fake). Citizen Al Franken takes a picture with a sleeping beauty during a 2016 USO tour. But this Al Franken moment was captured on camera. Oops. And the accuser is Leeane Tweeden, a KABC-AM radio personality. Tweeden initially posted #MeToo, but she decided to come forth after hearing Congresswoman Speier's (D-CA 14th) allegations that members on both side of the aisle have thrust sexual advances while in Congress. Now this puts a kink into progressive partisans' plans. One of their prominent members stands accused. The public has been primed to always accept the word of victims. In addition, there is photographic proof. This takes away from the rip the GOP as blanket sexual predator smear. Rush Limbaugh points out that in this environment, Democrats will have to proverbially throw Senator Franken (D-MN) under the bus to not to seem hypocritical and prospectively use it against their ideological opponents. Franken publicly apologized to his victim, claiming that he thought that it was funny. In addition, Franken submitted himself to scrutiny from his peers. Maybe this gets it out of the headlines and it gets buried by the press. If push comes to shove, Minnesota has a Democrat Governor Mark Dayton (D-MN), so Franken would undoubtedly be replaced by another Democrat. While justice is a noble pursuit, in this charged environment, the court of public opinion may well condemn non-guilty people just based on innuendo or unproven accusations which are promptly swept under the rug out of convenience. The reform from the 105th Congress seems to allow members to slide, in a process intended to apply the peoples' law to Congress. Although there are Ethics Committees to punish members egregious actions, I suspect that the ballot box is still the most efficacious way to punish when swamp rats act like dirty rats.